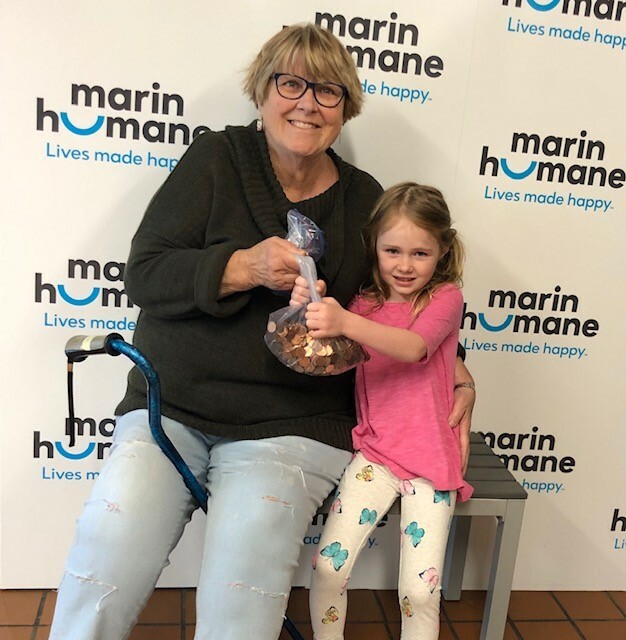 Josi picks up pennies with her grandma when they are out walking, and she wanted to donate them to Marin Humane. That’s an awful lot of pennies! Josie – you’re awesome. When Alizee wasn’t able to join our Roots and Shoots club, she decided to take on an independent community project instead. 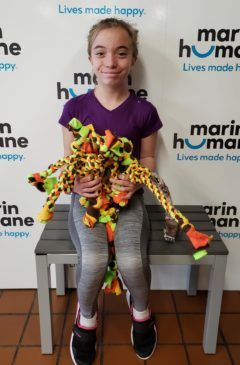 She spent 10 1/2 hours crafting these beautifully handmade toys for the shelter dogs and cats. 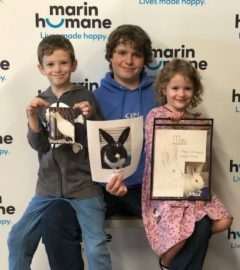 We love her resourceful spirit – thank you, Alizee! Sometimes it can be hard to get motivated on a Sunday morning…. so here’s Megan to help you kick your day into gear! 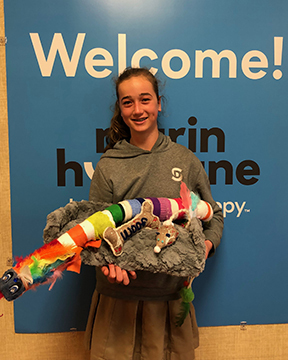 She worked really hard on a school service project making dozens of dog toys to keep our shelter dogs entertained and we’re super grateful! Let the fun begin! 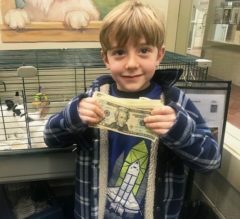 This lovely little man, Aiden Taylor, had a cookie bake sale for his birthday and raised $93 for our animals. He is a real rabbit lover so Butterscotch and Springer offered to pose in the background. You’re awesome, Aiden!